Let's get started - Contact us Today! Fairfield Wash and Seal Inc.’s owner Jim Henson, has been working within the Fairfield County area since 2006. We’re a locally-owned and operated company, when working with Fairfield Wash and Seal you can expect the best customer service found anywhere! We’re proud to be a family-run business, we care about our community and the home and property owners we serve! 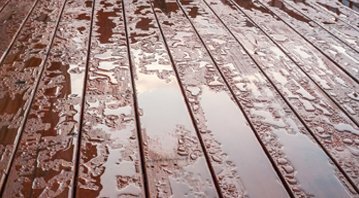 All of our services work hand-in-hand to improve the appearance of your home: our power washing and deck staining service can turn back the hands of time—you have to see it to believe it. Our painting, wallpaper installation and window cleaning will ensure you love your home from the inside out. After 15 years in the industry, we’re still constantly surprised at how great a freshly cleaned house, patio or driveway can look. Patios, siding, sidewalks, driveways, decks, roofing—you name it. You will be impressed with how incredible your home and landscape will look after they’re freshly power-washed, with all of the mold or algae removed and sealed. Inside our painting, wallpaper hanging, and window cleaning help homes look as fresh and clean on the inside as we make them on the outside. We are working to build our reputation as Fairfield County’s go to home maintenance team. I had a very pleasant experience dealing with this company. I found them to be very professional and honest. They showed up for our appointment on time and even called to let me know exactly what time they would be coming. 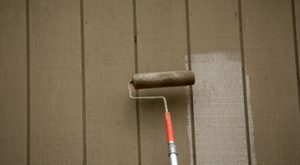 I had multiple estimates for staining my deck and there price was by far the best. I will be going to this company first for any future jobs ! Jim was great. He responded right away when I called, came over the next day to look at the siding of my house and gave me some thorough answers to my questions. He gave me excellent suggestions and followed up without being pushy. We had a very specific/limited-in-scope project that needed to be completed. Overall, we were satisfied with the work performed and the job was completed in a timely manner. Thank you. Great job cleaning our vinyl siding - the house really looks much brighter. They also provide other services, so they also did some window trim painting and gutter cleaning. They did everything to my satisfaction and made sure I was happy! Jim is great to work with and values his reputation. I look forward to working with this company in the future! The team did an excellent job powerwashing my entire home and deck. Everyone was friendly and courteous, and Jim was a delight to work with. We are already planning our next project together. Peace of mind. This is what Jim delivers. Peace of mind that your job will be done professionally, on time, and without all the frustration and agony that you are used to with other contractors. Jim is professional, responsive, and, overall, a really nice guy. He has a high standard of workmanship and truly believes in customer satisfaction. He exactly the kind of person you want in your back pocket! Westchester Wash & Seal was great! They power washed the exterior of my home which was vinyl siding at the time, our driveway, rear deck, patios and patio furniture. The interior of the home was freshly painted throughout: moldings, walls and ceilings. Jim was on time and very professional! 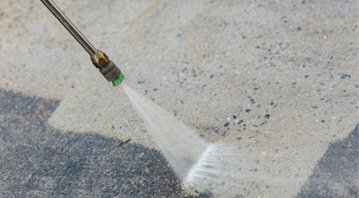 Power washing, also called pressure washing, is a fast and easy way to clean your home’s exterior. 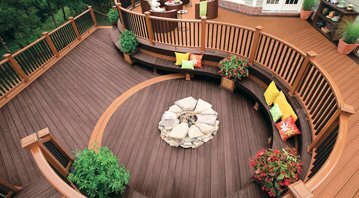 Here at Fairfield Wash and Seal, we know that deck staining is a fast way to make an old deck look new. 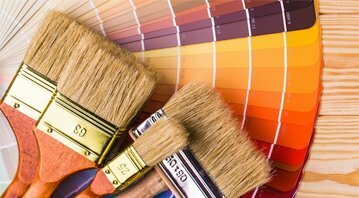 We may specialize in power washing your home, but we are also experts at interior and exterior painting. Fairfield Wash and Seal Inc. has been serving the Fairfield County area for 15 years. We are an ecologically-minded company, always looking for ways to reduce, reuse, and recycle our materials while giving our customers the best possible power washing, staining, sealing and house painting services found anywhere! Our team offers a complete line of pressure washing and house painting services. Our exterior pressure washing services can help restore the luster of a home’s vinyl siding, aluminum siding or painted wood. Our team can help clean outdoor furniture, patio, awnings, umbrellas, pool decks and more. 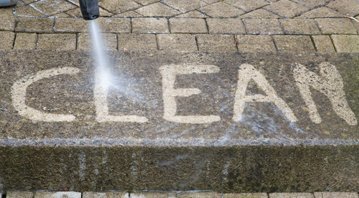 My pressure washing team can also clean streaks from your siding or roof, as well as remove algae, lichen and mold, growth from your home’s exterior. This company is the most reliable power washing company I’ve ever hired. Every year I have always looked for a new team disappointed by the last! After working with Fairfield Wash and Seal I know I have found my team! The search is over. Thanks, Jim! Fairfield Wash and Seal offers many services beyond power washing and deck sealing. At my Greenwich house, they installed wallpaper and painted my bathroom, a bedroom, and office, all the work they did looks great! I tried Jim’s Wash and Seal company this spring for my pre-summer cleanup up. They did power washing on my house. I have to say, the work they did was fast and high-quality. I’ve been recommending them to everyone I know. I’ve used other power washing companies Jim’s team is far and away not only my favorite power washing company to work with – but also the most talented and professional! Thanks for the great job Jim! Our mission is to provide Fairfield County homeowners the finest power-washing, painting and sealing service found anywhere. We are a locally owned, ecologically mindful company. Our client's complete satisfaction is our highest priority.